Mubychem Group, established in 1976, is the pioneer manufacturer of Sodium Thiosulphate Anhydrous & Pentahydrate, Pharmaceutical, Fragrance & Flavor chemicals in India. Mubychem Group has several manufacturing facilities spread across Gujarat and Mumbai India and world wide contacts and toll manufacturers. We are exporting globally to countries like USA, Europe, UAE, South Africa, Tanzania, Kenya, Egypt, Nigeria, Uganda, Turkey, Mexico, Brazil, Chile, Argentina, Dubai, Indonesia etc. Hypo is used in Bleach. It is used in bacteriological water assessment. Melted sodium thiosulfate is very easy to overcool to room temperature and when crystallization is forced, the sudden temperature jump to 48.3C can be experienced by touch. It is used in phase change material. 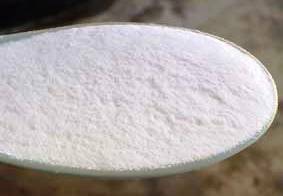 Sodium thiosulfate is used in paper industry. It is used in medicine and as disinfectant. A low amount can be found in natural hot springs water, but they do have trace sodium sulfide too, which is why it can used to treat skin problems and some bathe in it to relieve them of skin problems, rheumatism, although indirectly. It is systemically for cyanide or arsenic poisoning and topically as an anti�fungal.